Besides these details, we also know that the OnePlus 6 will be available in a Blue colour option, which breaks away from the OnePlus tradition of offering phones in only Black and White colours. OnePlus is either the master of buzz marketing or the worst at keeping secrets about upcoming models, because there is nearly nothing we don't already know about the OnePlus 6, the next big thing from the Chinese smartphone manufacturer. OnePlus has teased its upcoming smartphone only twice in images for now. 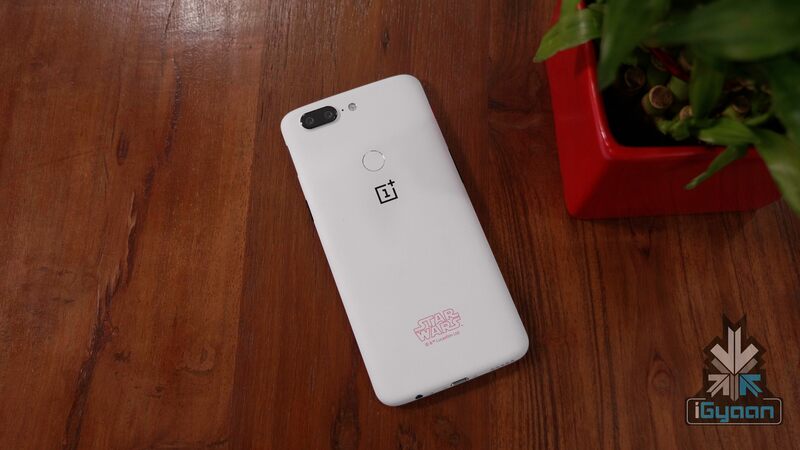 The one posted on Twitter consists of the image of the rear panel of OnePlus 6 along with the tagline 'More immersion in a refined form factor. However, whether the OnePlus 6 will come with an IP67 or IP68 water and dust resistance rating hasn't been confirmed and we expect it to be unveiled at the official launch event of this new flagship from the company. In a cheeky but not too well disguised caption OnePlus India wrote, "Don't you just hate it when you have to stop using your phone when it rains?" Rumor has it the OnePlus 6 will be priced in China - CNY 3,299 (424), CNY 3,799 (489) and CNY 4,399 (566) for the 64GB, 128GB and 256GB models, respectively. The report also adds that the OnePlus 6 will have a slightly bigger 6.28-inch AMOLED display with a resolution of 2280 x 1080 pixels. In addition, OnePlus 6 may also be made available from the company's own website. As for camera specs, the new flagship device is equipped with a dual camera setup: a 16MP+20MP combo which will let you shoot photographs and play with bokeh effects. With each new release of a smartphone on the market, there are always a huge number of people interested to see what the phone is going to come with in order to gauge its performance and how well it fits in with the competition or even rises to the top, in some situations. When it comes to pricing, the OnePlus 6 is said to cost twice as much as the OnePlus 5T.